The exhibition is up and the artist talk was well received. Currently producing a remastered version of the artist talk, since the broadcast had ended abruptly. Everyone involved in the broadcast will receive a high definition copy of the talk. Thank you to everyone who participated, and if you have not been to the exhibition, come visit before the end of the 17th. From the first time the idea of this exhibition came into thought to this weekend, I have been contemplating about the statement I wanted to make with this exhibition. Funny enough, even to this point it is difficult to really convey what the exhibition is about. It’s a multifaceted exhibition centered around the main theme of identity and how to navigate through it. The idea of the exhibition came to thought while I was brainstorming a series of exhibitions to do produce for the following years to come to build on my career as a curator. Despite that I chose the wrong educational path for a curator, I still remember the advice one of my mentors gave me when I was interning at the Greenhill NC. Edie Carpenter had told me “If you want to start your career path as a curator, you’re going to have to put on shows.” As I was writing ideas down, I thought about my current position in life, the artists I have met and the inspiration I received from them. I thought of my difficulty finding a full-time position in the arts administration field and this growing anxiety of having to prove myself again while feeling like my proof should have been apparent. I thought of all the artists while writing ideas down and felt there was some familiar detail about them. _______hood Took a year to plan, prepare, and produce. During the months as I was securing the location, preparing the marketing material, and talking to be artists about their work, I could not help but feel like I was getting closer to that familiar detail about them. It wasn’t until after I started installing the work in the gallery that it came to realization. 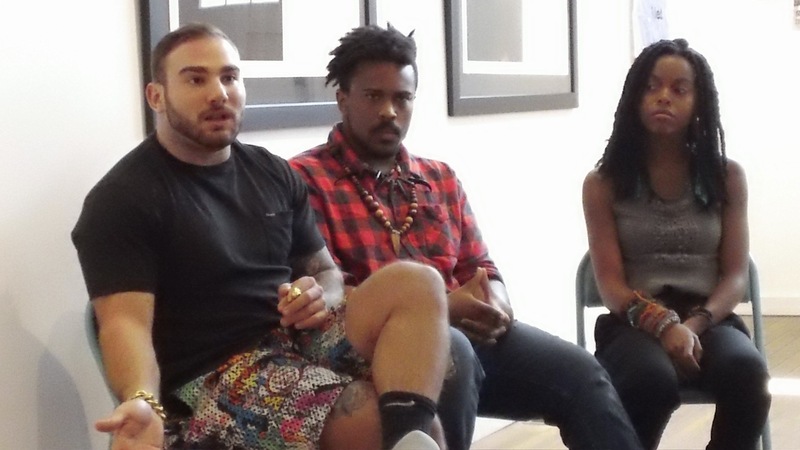 Despite the amazing achievements these artists have made already, they are still considered “emerging “artists. 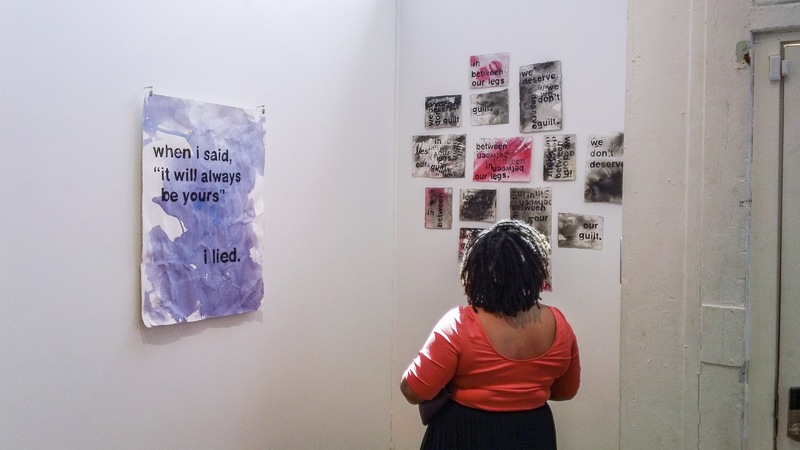 I’m surprised they are not in the same position as Jordan Castille Who is currently being exhibited throughout the East Coast and further during in shortly after her time in graduate school at Yale. The content of the work is drastically different, in my opinion, but their content’s qualities are close to the finest. In my mind, each of them are still trying to prove themselves repeatedly to “climb up the ladder” and closer to theor dream. It’s is this reason, I believe, as to why I started the brand in the first place. I wanted this brand to help artists by providing them a platform and resources from the administrative aspect to help them excell to their dreams which often is making our pursuing the ideas that inspire them. Is my destiny truly in my own hands and at my own disposal, or is my fate already predetermined and I’m giving the illusion of choice? If my destiny is based off my character and identity, and if I am capable of changing my identity, at what point does my density change and what defines that changing experience? Is it my actions soly, or is it something more? Each of these artists handle identity differently. Some explore, others question, others challenge and redifine the factors and circumstances that we allow to define us. In regards to my brand’s mission and vision, it is one of my objectives to inspire a community to take action inspired by art and the conversations they spark. My question is, how can we move forward as a community to better outcomes? All of these things orbit my thoughts as I slwrite this official curator statement. Colin Stokes brings up another point in gender identity and the influence film and entertainment has in our cultures. Checkout the video below and tell me what you think. In addition to Matson’s body of work exploring masculinity, Bill Pozzobon shares some of his input on a notion he calls “The Boys Code”. Ok, here is one more throwback media by Contrera, but with another outlet called OutBuzz, an LGBT news outlet. Out of gratitude and in consideration to all who have contributed to this project, it would be disrespectful to not mention of the organization who has provided space for this exhibition in the first place. 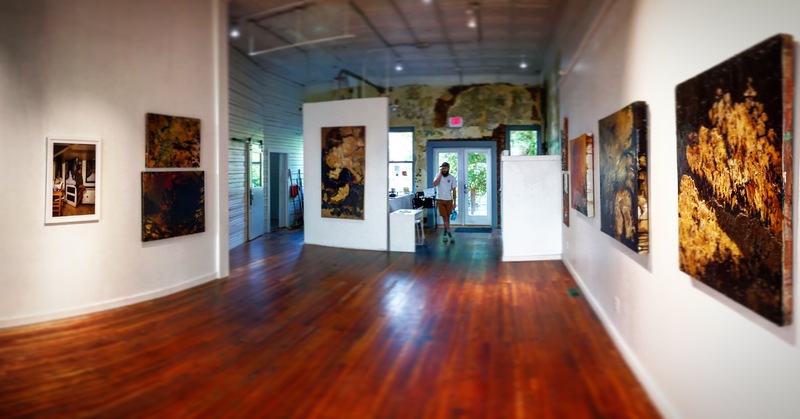 The Carrack Modern Art is a project based in Durham, North Carolina, that focused on supporting contemporary and emerging artists by providing them a space where they can sell work, and raise awareness of their artwork free of charge. The organization is physically sponsored by a 501(c)(3) organization stationed in New York called Fractured Atlas. As mentioned before, what makes the Carrack special is its 0% commission for the sale of artists’ sale of artwork. The organization has survived the past six years off the donations of the community and the fiscal sponsorship of fractured Atlas which is allowed the communities who donate to this project to receive the tax benefits they need. As a result, the generosity of the community then has its reinvestments given back to it in return, which some may argue will help the local economy in the door I’m area. The owner of the project, Laura Ritchi, is also someone to keep her mind of. Ritchie is currently getting her masters in liberal studies with a concentration in gentrification and it’s impact on the communities. Her focus has been on community engagement and activating it take action in restoring and growing its local economy. Part of this process is also keeping in mind of the issues that matter to the communities. 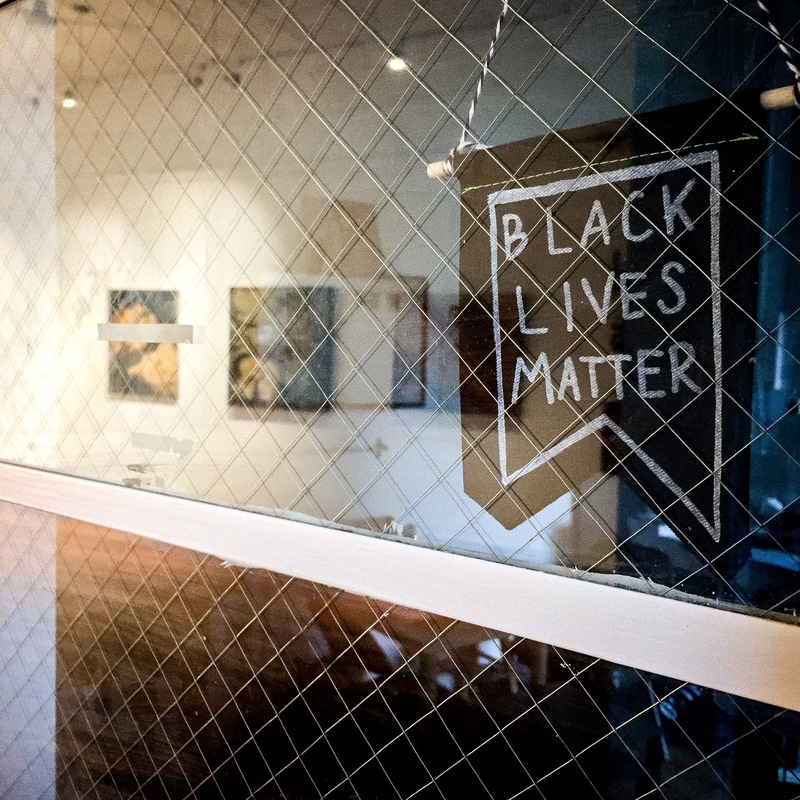 And her current location in Durham, the community that her gallery directly serves are often on the represented and are suffering the negative aspects of gentrification in the Durham area as it is developing expanding its inner city areas. 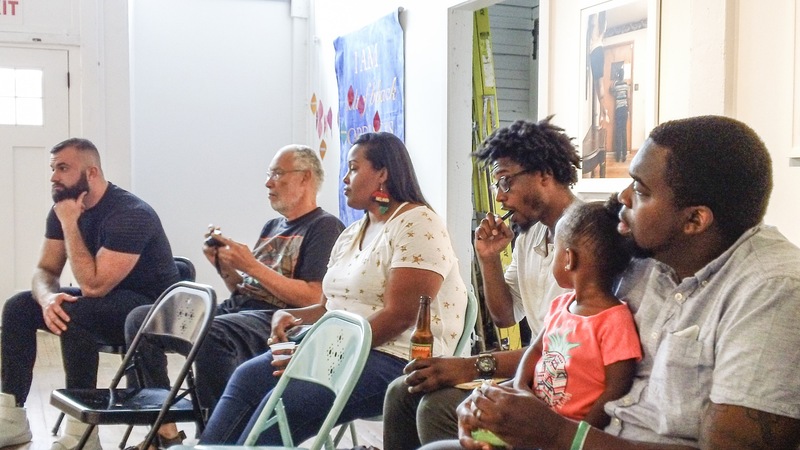 The Carrack empowers local artists to forge productive cultural and Socio economic ties with their community through professional exhibit and performance opportunities in a zero commission art space. Who are emerging and seeking an exhibition space. Were experimenting with new media and concepts that are not typically classified by the traditional disciplines and forms of artistic practice. Producing work with radical content and/or imagery. Seeking for an open space for all. Producing new, contemporary, artwork as it’s time. 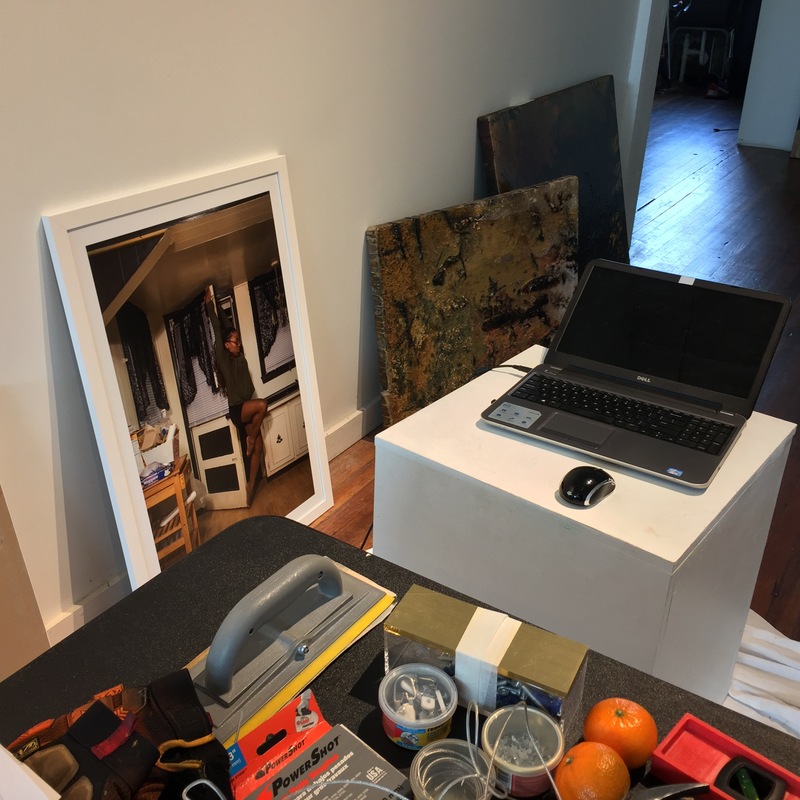 This project is organized by volunteers, advisors, and stakeholders in the community who assist Ritchie in the day-to-day operations of the gallery space and the project itself. 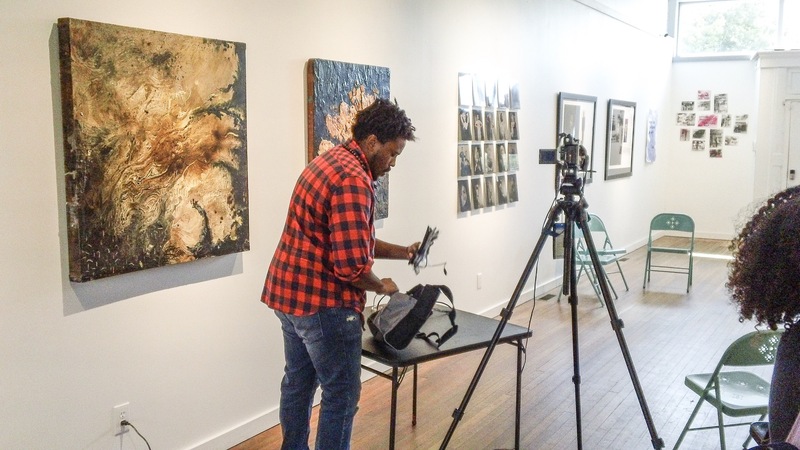 In addition to the artists who are invited to make exhibitions out of the space, local curators and organizers can use the space for a variety of events, projects, and productions that our art and non-Art related. The main goal of this organization is to be a place to facilitate community and building a healthy local society. As a current resident in North Carolina, I had the pleasure and honor of being excepted as one of the exhibition it’s in this projects current year of artistic programming. How their programming works is that The winter is populated with programming that staff already has, from workshops to exhibitions. During this time, they do an open call for curators and artists to send Submissions and proposals in for exhibitions for the entire year. Each proposal an exhibition is allotted two weeks at maximum and depending on the time of submission are than scheduled for certain seasons of the year if they get excepted. All the submissions go through the panel of jurors who review the details of each proposal and excepts or rejects it. everyone who is excepted for the years programming will be the jurors for the next panel for the following year. One of the remarkable things about this organization, to me, is not only its inclusion of nearly all marginalize group of Americans and Americans, but it’s a tent to build the argument in conversation that communal prosperity is based on The notions of loving their neighbor as they self but also embracing change as they come. As mentioned before, here is a “Part 2” of the interview that Contrera and Miner had together a year after their initial meeting.